Been very focused on catching big key largo tarpon fishing in april. We caught 4 today. Fun fishing a couple days ago we caught 2 in a couple hours. The day before another big day with 4. 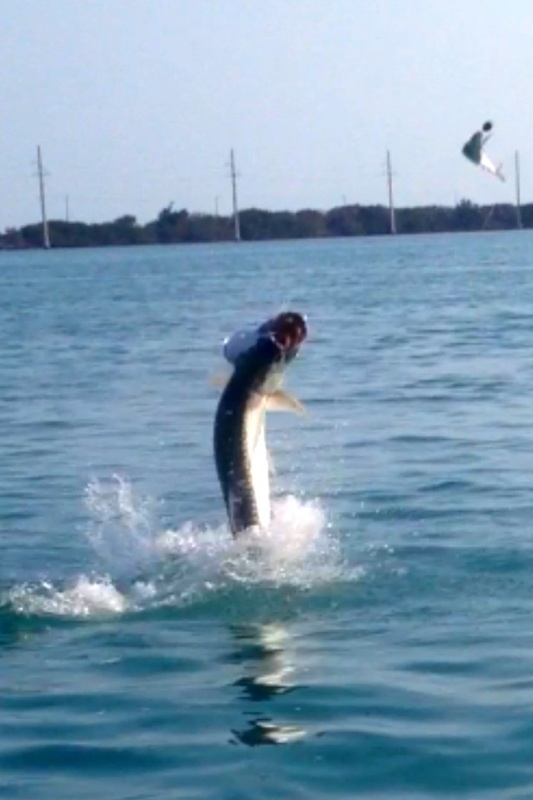 Pretty much tarpon every day since my last report and multiple fish on all days. Lots of mullet around which has been the bait of choice. If you want to go on a key largo tarpon charter now is the time, I have evenings available which can be a very good bet. The key largo night fishing for tarpon is lots of fun and often a productive time to go. We have good tides coming up this week and I have some evenings available, give me a call!